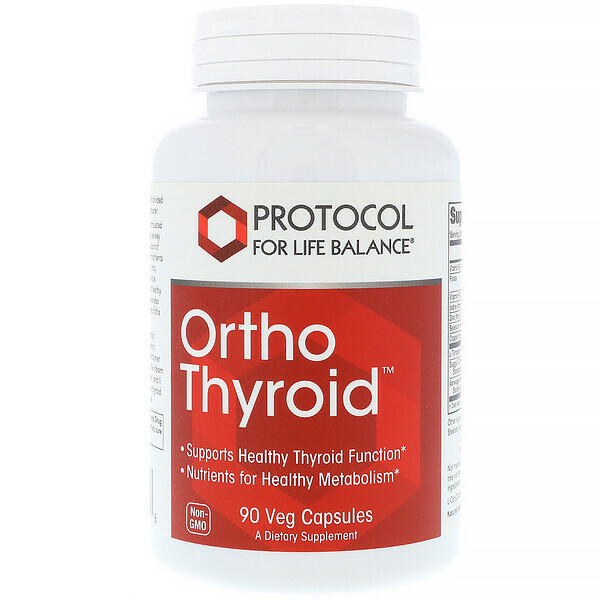 How it works: Ortho Thyroid has been carefully formulated to naturally support thyroid and glandular activity, which are key factors to support optimal brain function and the production of energy. 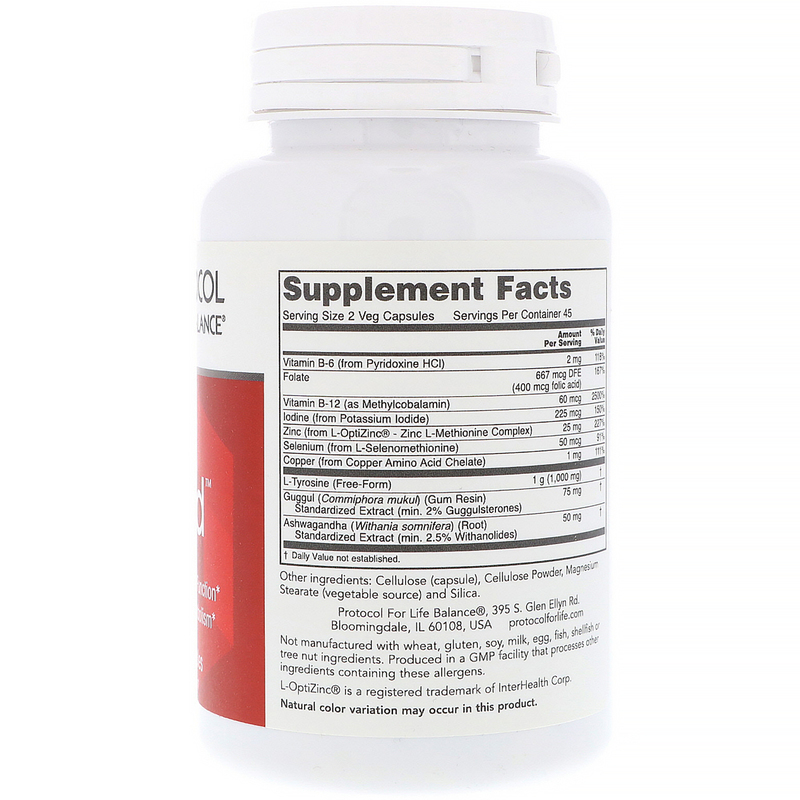 With L-Tyrosine and Iodine, the two constituent nutrients of thyroid secretions, combined with specific B vitamins, zinc, selenium, and other trace minerals, this formula represents a comprehensive nutritional supplement for the support of healthy thyroid function. Guggul and Ashwagandha extracts have also been included to complement the nutritional component of this formula. Take 2 capsules daily, preferably in divided doses with food, or as directed by your healthcare practitioner. No fabricado con: ingredientes de trigo, gluten, soja, leche, huevo, pescado, mariscos o nueces de árbol. Producido en una instalación GMP que procesa otros ingredientes que contienen estos alérgenos. If currently taking any thyroid medications, levodopa, methylphenidate, SNRIs, bupropion, warfarin, or MAO inhibitors, consult your healthcare practitioner prior to use. L-Tyrosine is contraindicated in those with the inborn errors of metabolism, alkaptonuria and tyrosinemia types I and II. Not intended for pregnant/nursing women. If you have a thyroid disorder, consult your healthcare practitioner prior to use.